Concrete is the most important building block in the development of our country and the conference aims to discuss and discover concrete technologies that will set the country apart in the provision of quality construction materials. The conference will leverage the technical expertise of the Southern Africa Readymix Association (Sarma), Concrete Manufacturers Association (CMA), The Concrete Institute (TCI) and the Concrete Society of Southern Africa (CSSA) to deliver insight into the world of concrete. “This is an important milestone in the industry as it marks the first truly integrated event of all four concrete bodies working in alliance. Concrete is changing and building techniques are too, so we will be looking at uncovering advancements that will impact concrete producer’s offerings and improve construction techniques,” says Johan van Wyk, lead organizer of the event. 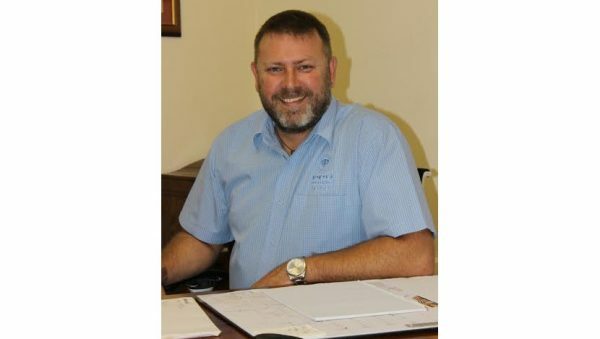 He adds that the Concrete Conference is for professionals involved in the procurement, specification and manufacture of concrete and is CDP accredited through the Engineering Council of South Africa. It will also provide companies involved in the manufacture of concrete with an opportunity to exhibit and showcase their products alongside the conference proceedings. The event is anchor sponsored by four major cement producers, Afrisam, Lafarge, PPC and Sephaku, taking the opportunity to show their support for the industry. With the focus on high performance concrete (HPC) the speakers will include professor Hans Beushausen, who is responsible for writing the high performance concrete section in the Concrete Institutes “concrete bible” Fulton Concrete Technology reference book. He will discuss the criteria for producing high performance concrete and how to produce and procure it. Dedicated speakers on the subjects of precast, readymix and structural concrete will add further insights. A unique panel discussion involving executives from the professional construction bodies, including the South African Forum of Civil Engineering Contractors (SAFCEC), South African Institution of Civil Engineering (SAICE) Master Builders Association (MBA) and Consulting Engineers South Africa (CESA) will look at concrete possibilities in the current economic climate. Industry Insight economist, David Metelerkamp will then provide an overview of the economy and insight into what the future holds for the industry and the country. Another unique feature of the conference will be talks presented by entrants and winners of the Concrete Society’s Fulton Awards where they will look into lessons learned and what it takes to make a successful concrete project. Entertainment will follow the first day’s proceedings at the Gala Dinner. The Concrete Conference will be held at Misty Hills Conference Centre on 17 & 18 August 2017. Visit the website at bit.ly/2qmMszG for more information or to book delegates and/or stands.